This hybrid-fuel stove is our first to combine canister and liquid fuel capabilities into one comprehensive package. Built on an upgraded WhisperLite™ chassis featuring improved stability, lighter weight and simplified maintenance, it burns just about any fuel you’re likely to find. And unlike anything that’s come before it, our patent-pending AirControl™ technology delivers uncompromised performance across all fuel types, and we’ve delivered it all in a lightweight package that won’t slow you down. 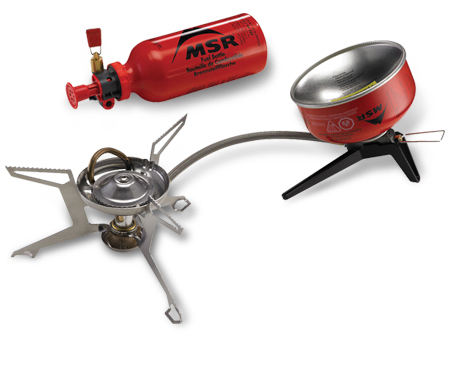 To see just how easy it is to use a liquid fuel stove, watch MSR’s video.